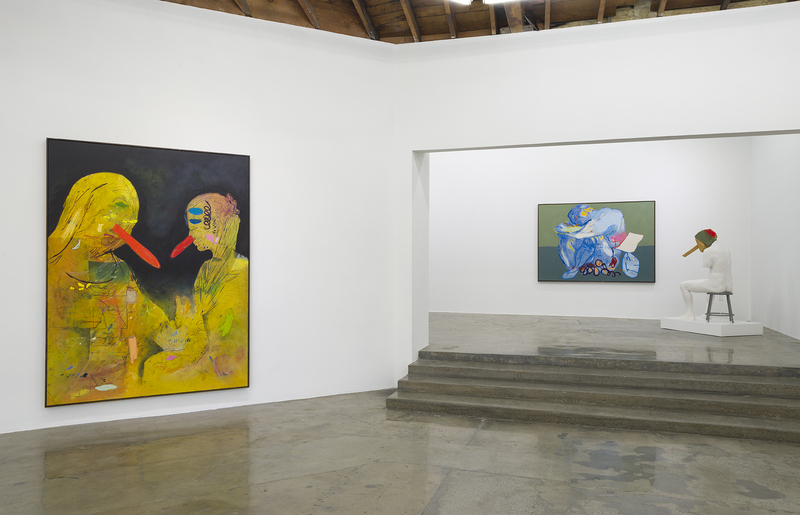 Depart Foundation is pleased to announce its first solo exhibition of works by Los Angeles based artist Marc Horowitz. 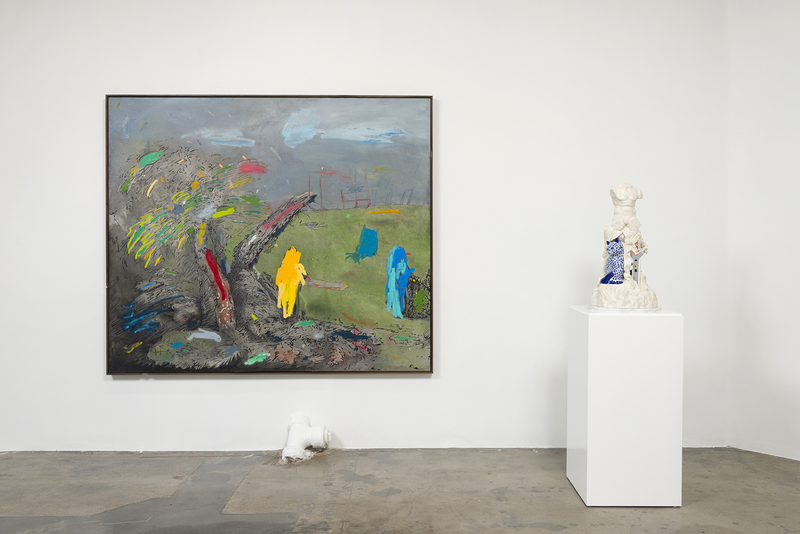 Curated by Nicola Ricciardi, Interior, Day (A Door Opens), on view October 8 – January 30, 2016, will feature new paintings and sculpture. With a prescient instinct for the untapped cultural potential of populist mediums, notably Internet culture, commercial advertising and the entertainment industry, Horowitz looks to establish a social connection and reciprocity between viewer and artist. In this new body of work, Horowitz stages encounters between the high and low, and the old and new, conflating art historical references and typologies in a mash-up of thrift store chintz and idiosyncratic commentary. 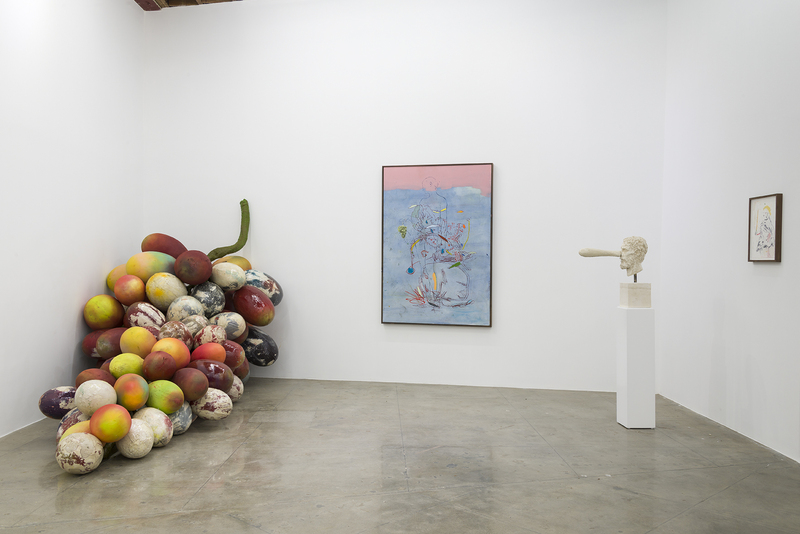 Often funny, irreverently bawdy and even scatological, Horowitz’s sculptures start with formal references to Classical statuary which are then playfully corrupted with the inclusion of junky every day objects; everything from plastic cups to ceramic budgies and clown figurines. Horowitz’s paintings are executed on canvas with a combination of oil, charcoal, pastel and acrylic spray paint. Combining abstract expressionist markmaking, vibrant color, and cartoonish shorthand, his works feel haphazard and precise, combining the best aspects of spontaneous notation and deliberate composition. Concerned with conjuring an experiential context beyond the immediate frame of the art object, his aesthetic never veers too far away from a cinematic proposition. The title Interior, Day (A Door Opens) conjures a mise en scène, encouraging the viewer to insert themselves into the narratives offered by this irreverent storyteller. The titles of the artworks themselves are drawn from screenplays for The Matrix and Tarkovsky’s Solaris, and are intended to reinforce the willfully awkward and wonderfully playful displacements that Horowitz encourages through his works.